Residential fence installations serve a number of purposes for homeowners. They provide much-needed security for youngsters and pets, and they can offer privacy from strangers passing by. Aside from these practical benefits, fences can also add a beautiful aesthetic to the home to boost curb appeal. 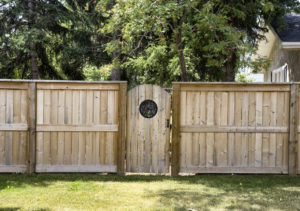 It may sound like a good idea to cut back on costs and install your own fence in Toronto, however, it’s easy to make mistakes that can ruin your investment. Here are some of the most common fence installation mistakes to avoid. Fences are long-term investments, so take extra time to make sure you plan the installation carefully. Visualize where your fence will be and consider the height, length, spacing, material, and landscape. Each neighbourhood has its own aesthetic, so depending on if you want to blend in or stand out, you need to take this into consideration. There may also be restrictions in your area as to how high you can build your fence. While you may want the extra privacy, it makes no sense to go ahead and install a high fence that will need to be taken down. Choosing the gate location can be a challenging job for inexperienced fence installers. It takes careful consideration before positioning the gate because once the location has been decided, it can be expensive to change it. The size of the gate is also another aspect that needs to be considered. Your gate will endure more wear and tear than other parts of your fence, so quality materials are a must. Another mistake DIY fence installers can make is forgetting to check the neighbours’ property lines. It’s a common mistake that can require you to uninstall the fence and fix it again, which could cost you thousands of dollars and hours of work. Find out where your property ends and where your neighbours’ begin before installing your fence. Choosing the right fence takes a lot of planning and experience, so instead of taking on this sensitive project on your own, leave it to the professionals. It may seem like a bigger investment to hire contractors, but they know what they’re doing and can save you from having to fix costly mistakes you may make along the way. For extra peace of mind, you can contact us for a consultation, and we will be happy to answer all your questions. With Total Fence Inc., you will get advice from experienced and qualified professionals. We are a fully licensed company and we provide chain link and wooden fence installation in Toronto. Best of all, we do all the work from start to finish. Want to know more? Feel free to contact us with any questions.